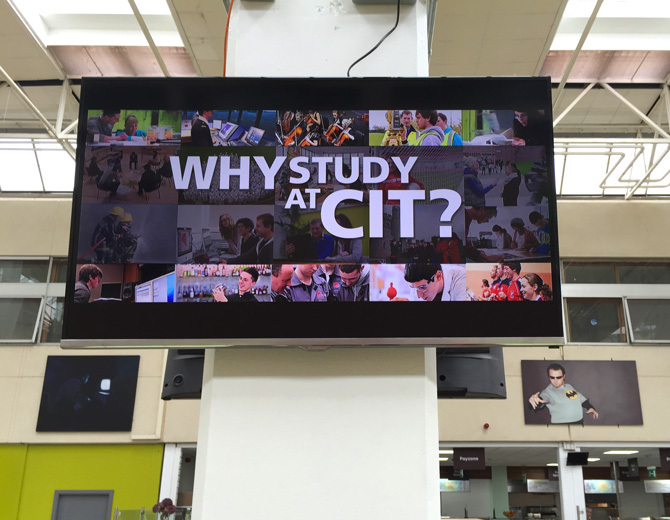 The Marketing Unit manages the content and playlists for the digital signage TV screens located in the Atrium of the Bishopstown campus. These screens are designated for the promotion of student and campus events and services. 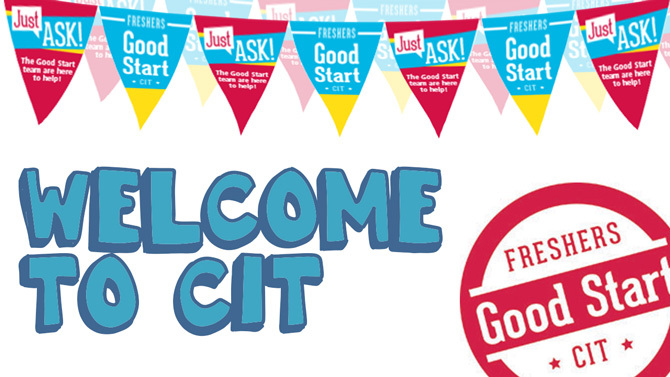 Student organisations such as sports clubs and societies are encouraged to use these screens to promote their events to students. Clubs and societies should submit their content via the Sports and Societies Office who will review and make the submission to the Marketing Unit. It is essential that any submission for the TV notice screeens is easily viewable by students and staff using the atrium. Given that most users will be some distance away from the screens, any content which is deemed difficult to read will be rejected. We want your event to be as successful as possible and if your content is concise and easily read it will help those who would like to attend. 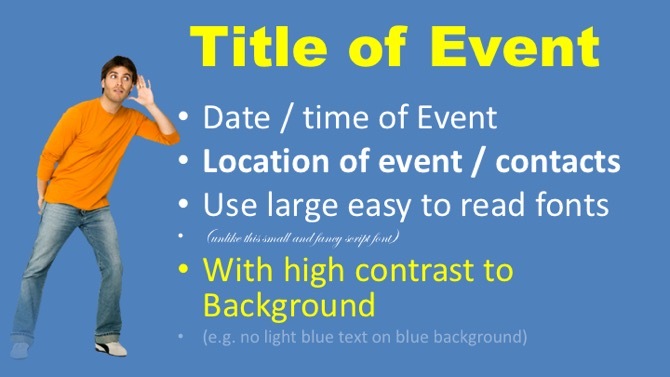 Slides should include all essential information Event/date/time/location/contacts etc. 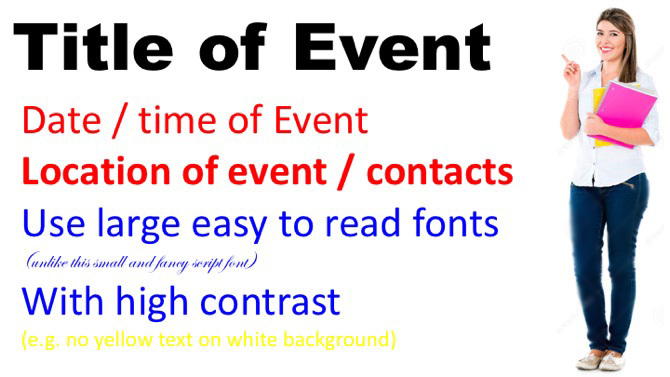 Slides should use large easy to read fonts (Smallest font size should 40 pt) using colours easy to read against the background. Appropriate images may be used if required but should not be used behind text if it makes it difficult to read. Please allow at least three full working days for content to be added to the screens once received by the Marketing Unit. 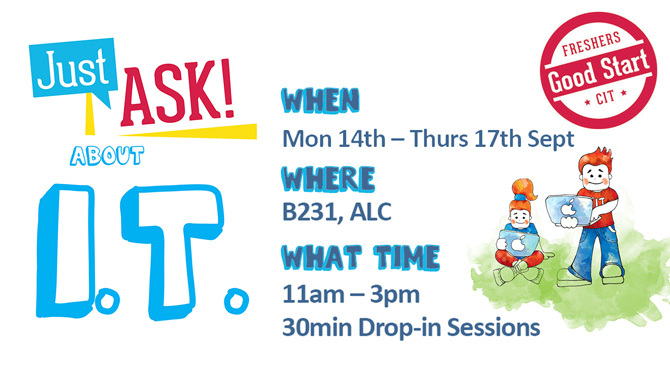 You will also need to allow for the additional time you require to promote in the run up to the event in order to ensure as many people as possible see the advert. Content should be submitted in either PowerPoint (Widescreen) or JPG format (1920px X 1080px). Additional formats such as video to be agreed in advance with the Marketing Unit. Staff should email content to marketing@cit.ie and if necessary detailing any requirements such as dates the slides will be shown etc. Should slides be deemed unsuitable either technically or due to it's content, users will be asked to make a new submission request. Each club / society can submit slides for consideration via Sports / Societies office.